Rumors have been circulating for nearly a year now that Samsung had a 13.3" tablet in the works, and the first proof that the device was real may have just leaked. GSMArena has posted a scrap of a spreadsheet which they say came from a source inside Samsung. 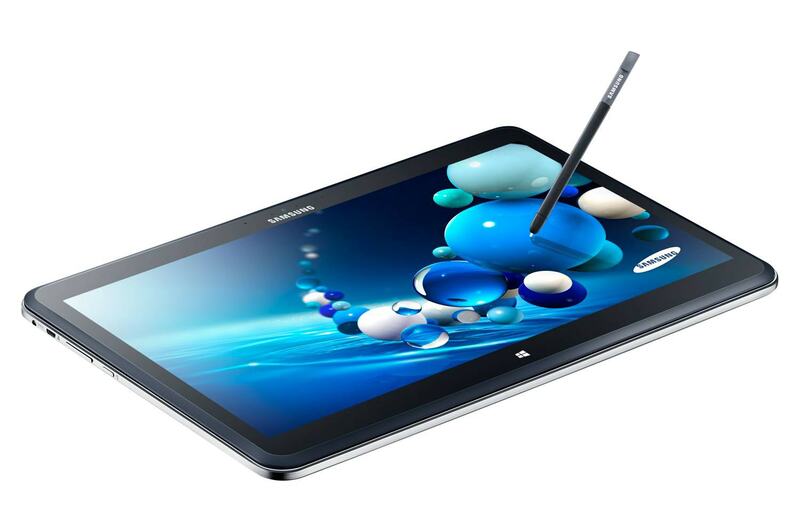 According to the leak, Samsung is indeed working on a new and larger tablet. The tablet, which carries the codename Warhol, is going to be larger than the Galaxy Note Pro 12.2 tablet which shipped earlier this year. It will come in both Wifi and 3G variants, and it will reportedly have the same WQXGA (2,560 x 1600) screen resolution. That's about all we know about the new tablet from the leak, but on the plus side this leak also appears to confirm the two Galaxy Tab S tablets which leaked last week. Samsung and Apple were both rumored to be working on a 13.3" tablet last year. Neither device has made an appearance yet, but I don't doubt that both tablets are in the works. In fact, my only question about the 13.3" tablet is why the screen resolution isn't higher. As you might recall, last June Samsung unveiled the Samsung ATIV Q, a Win8/Android laptop convertible that collapsed down to a thickish tablet. That device had a 13.3" screen with a resolution of 3,200 x 1,800. The Activ Q does not appear to have ever been released, but it does offer a hint of what Samsung is capable of making. Does anyone else wonder why Samsung showed off a 13.3" screen with a resolution better than WQXGA, but never shipped it? If I had to guess, I would bet that the 13.3" screen from the Activ Q had QA issues, leading to the Activ Q being suspended. That would explain why the same screen isn't being used on the upcoming tablet. Of course, that is pure speculation.